← Beginning of the End. Bogata, Colombia. When traveling, I find it easier to have a name that fits into the culture. I stick to Eric in the states, Bob-o in England, Whickwahahaha in the tribal areas of Africa, Ima Jerk in France, and Enrique in Latin America. I think Enrique loosely translates to Eric, but I’m not really sure. The main reason why I choose Enrique is because I want to honor my idol Enrique Iglesias. One day, I hope to get paid ridiculous sums of money to sing as horribly as Mr. Iglesias. When ever I am in a place for more than a few days, I do my best to befriend as many people as possible. 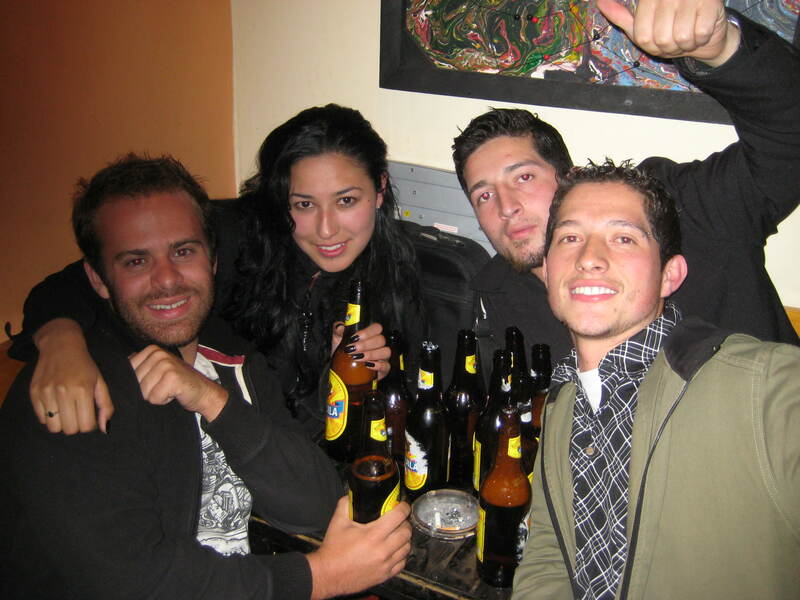 My second night in Bogota, we decided to hit up a few local bars and keep it a pretty chilled night. We spotted a death metal bar, and figured what the hell, let’s check it out. This small venue was probably no more than three meters by three meters (America needs to switch to the metric system) and only really offered beer and tequila. At first, we weren’t really sure on what we thought, but after a drink, it really began to grow on us. I stared talking with the bartenders, and before I knew it, they were pouring everyone shots of a local conception…on the house of course. It is always an entertaining conversation when you are totally coherent, and the person you are talking with is plastered. Since we wanted to keep it more of a chilled out night, we called it quits after about an hour or so and decided to take off. I told everyone peace out and promised them that Enrique would return later that week. As we headed back, we heard singing from another bar. We quickly pulled together a group meeting and realized that there is no way on earth we should pass up an opportunity to sing with the local crowd. Fine…one more drink…but that’s all, I promised myself. As we entered this small and cramped bar, I saw a mixture of Colombians sitting around. Ages and looks varied, but they all looked extremely welcoming. We grabbed our drinks, toasted to each other, and then began to toast to the Colombians. Within a matter of minutes, I struck up a conversation with some University students in the corner. 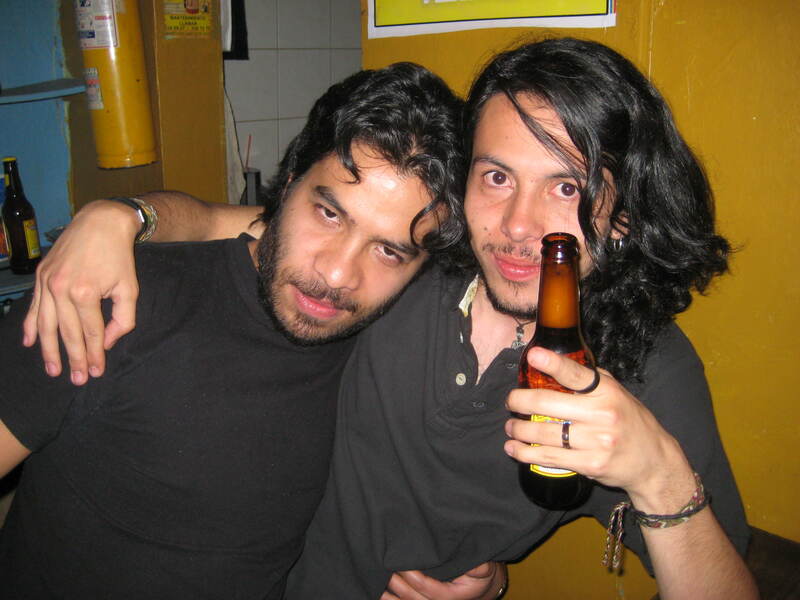 Time flew, more beers were bought, we attempted to salsa dancing, and before we knew it, the bar was closing. Walking out, I realized I had found my bar. The next night, I stopped in for a drink, and upon walking in, I was greeted with people screaming “Hello Enrique!” At that moment, I knew I had done good. Even the guy from the street who sells food came up to greet me. I greeted my Colombians with hand shakes, hugs, slaps on the backs, or what ever seemed appropriate. For the rest of the night, we talked, drank, and toasted to the people of Colombia. The owner loved me, because anytime I came to his bar, I brought at least ten people from my hostel. My last night in Colombia, I decided to throw myself a going away party, and of course, I had it at my bar. Since it was a Sunday night, things were pretty mellow. I met some of my Colombian friends, shared a drink, and we eventually said our goodbyes. The next day, I was heading home. The end has finally came.